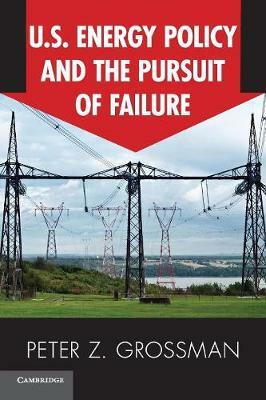 US Energy Policy and the Pursuit of Failure is an analytic history of American energy policy. For the past forty years, the US government has tried to develop comprehensive policies on energy, yet these efforts have failed repeatedly. These failures have not resulted from a lack of will or funds but rather from an inability to differentiate between what could be undertaken and what could actually be accomplished. This book explains how and why various policy efforts have come about, shows why politicians have been eager to back them, and analyzes why they have inevitably failed. Over the past four decades, US energy policy makers have pursued not just policies that have failed but also a policy process that leads to failure.